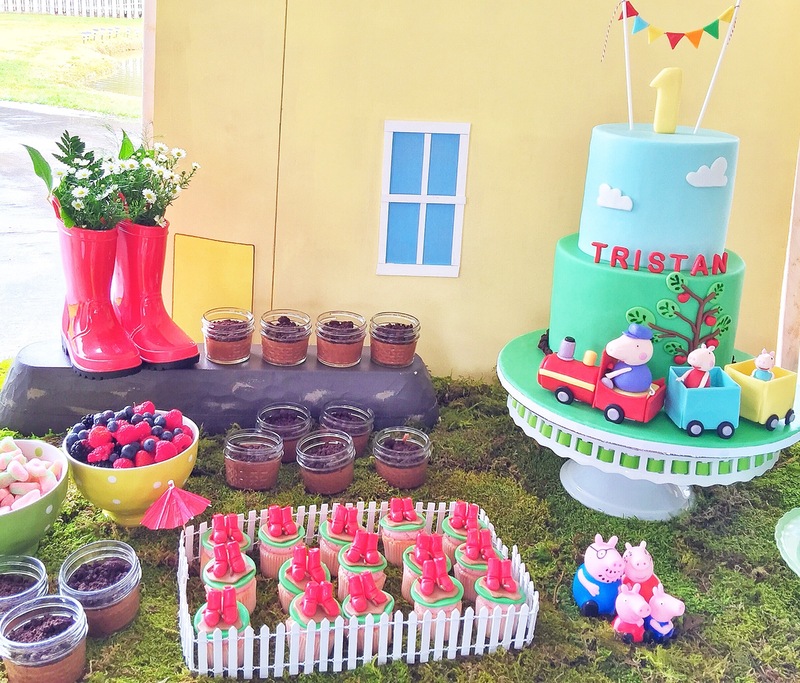 We had so much fun planning this Peppa Pig party for Tristan’s first. 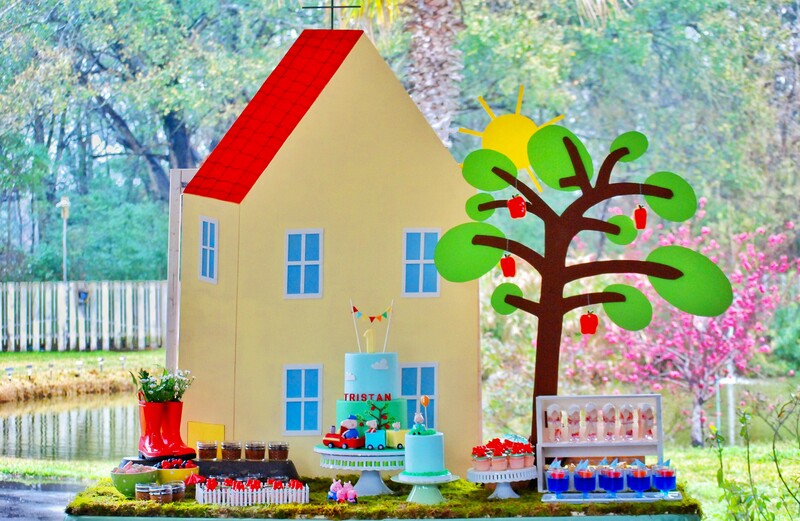 The tablescape design was focused on Peppa’s brother George Pig and the “Grandpa” train for birthday boy. Client mentioned she liked things grand and over the top- JEM delivered. Absolutely love this theme! In the series, Peppa loves playing in the rain and jumping in muddy puddles. We made sure to incorporate that in the dessert bar. Sweets catered by Bake and Beyond. She did a fantastic job! Place settings are a must for every first birthday at JEM. Love our DIY party hats. The rainboot centerpieces and grass mats added a nice touch to the tablescape. Replica of the yellow house and apple tree were made out of wood by our JEM carpenter aka the hubs. Love the apple (cookie) tree. Beautiful cakes by the super talented Vivia at Bake and Beyond. Her attention to detail is impeccable. The lovely outdoor setting made the perfect backdrop for this tablescape. Custom “Grandpa” train from Spectrum Graphic Design. What a great photo prop. Meet Tristan Pig. Happy first cutie pie! I love that train! Suggestions on how to recreate that? Did you cut that yourself? I want one for my nephew to play in. Hi Misty, the train was custom made by our graphic designer.